Cartridge guns are suitable for the controlled application of pastes, gels, adhesives and fluids. This industrial applicator is designed to work with 6oz size cartridges, Semkits and Techkits and features a built-in adjustable electric speed adjustment to set flow rate. The AD600 battery operated sealant gun comes in a sturdy purpose built carry case for safety and convenience and includes all the essential components you'll need for speedy and efficient sealant application to both horizontal and vertical joints using all 6oz sized cartridges including Semkits and Techkits. For any application requiring controlled non-drip dispensing of sealants, silicones, greases, pastes, gels and other materials, this new dispensing system is ideal. Battery charges in around 25 minutes and will dispense up to 75 - 100 cartridges from a single charge. 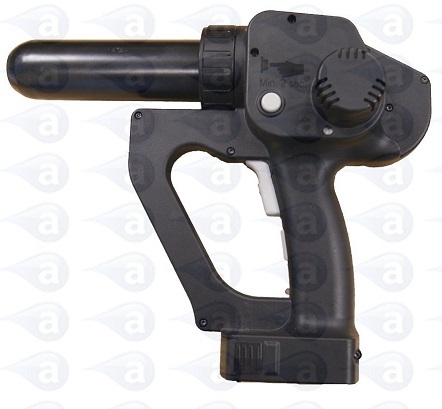 This gun includes (1) gun, (1) cartridge, (1) plunger, (1) flange cap, (1) tip cap and (1) nozzle, (1) tip adapter and (1) tip.